Also, sorry if this is the wrong forum to post in. Thanks @jmills! @Kory is having the same problem as well. I've got an idea of what is going on and I'll check it when I get home this evening. To be clear there is no security issue with your account. We recently made a change to simplify things by eliminating the www in our web address. 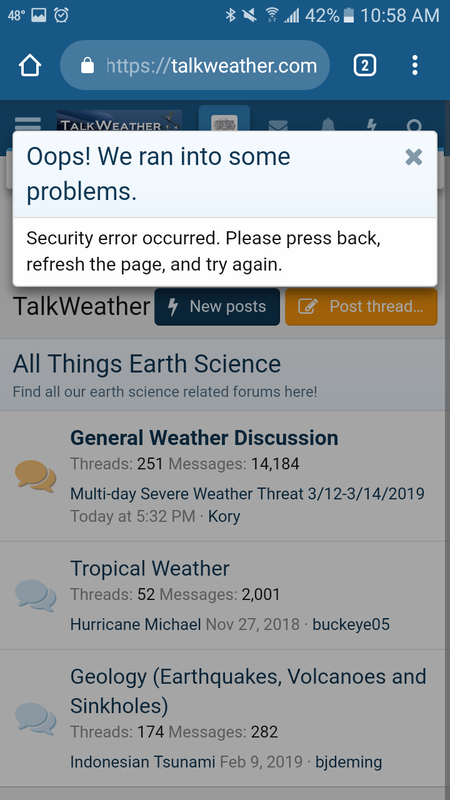 If you have been accessing the site using https://www.talkweather.com you may indeed get this error as we have transitioned away from using www. As I mentioned before I hote to enable a fix later this evening. Okay if you are getting the security error message, log out and then log back in again. In theory, it should go away.